Cultural Anthropology; Latinx Studies; Feminist theory; Ethnographic Praxis; Borderland Studies; Cultural Studies and Ethnic Studies; Mixed-Race and Mexican Diaspora. Mónica Russel y Rodríguez is the Assistant Provost, Diversity and Inclusion. She is a Senior Lecturer in Anthropology and in Latina and Latino Studies. She earned her bachelor's degree in anthropology at Yale University and a doctorate in cultural anthropology at UCLA. 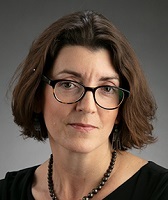 At Northwestern she has served as Associate Dean for Teaching-Track and Visiting Faculty in Weinberg College of Arts and Sciences, as Weinberg faculty adviser, and as Interim Director of the Latina and Latino Studies Program. Dr. Russel y Rodríguez is an ethnographer with broad disciplinary interests that include Anthropology, Latinx Studies, Ethnic Studies, and Gender Studies. She works primarily with US Latinx populations and larger questions of representation of Latinxs in academe, public policy, and the media. Her interests are gender, sexuality, race and class in Latina/o communities. Her publications focus on Chicana feminist theory, theories and methods of ethnography, and questions of race and mixed race in Chicana/o communities. Her activism has centrally involved women's health and reproductive rights, particularly for under-served and undocumented Latinas. Her articles have been published in Voces, a Journal of Chicana/ Latina Studies, The Journal of Qualitative Inquiry, The Latino Studies Journal, including reprints of her work in The Journal of Latino/a Research and Policy (2000) and The Qualitative Inquiry Reader (2001). She was an Associate Editor of The Chicana/ Latina Studies Journal and most recently reviews articles for Journal of Gender Studies and International Journal of Qualitative Studies in Education. She is recipient of fellowships from the Ford Foundation and the Danforth Foundation, she has mentored faculty for the Woodrow Wilson Fellowship and she has received research funding from several associations including the National Science Foundation and UCMexus. 2019 (forthcoming) “The mujeres circle.” In Voices from the Ancestors and Beyond: Chicanx/Latinx Decolonized Spiritual Expressions. Lara Medina and Martha R. Gonzales, eds. Tempe: University of Arizona Press. Invited panelist, American Council on Education, San Francisco, CA March 13, 2016. 2014 Respect yourself, protect yourself: Latina girls and sexual identity- Book Review Journal of Gender Studies. Spring (vol. 22, issue 2). 2014 “Changing the Conversation: Perspectives on Contingent Faculty. Panel discussion” Ford Diversity Conference, National Academy of Science, Newport Beach, CA, September 27, 2014. 2014 Gender and Race in Contingent Faculty Hiring: A review of non-tenure line hires in the literature and media. MALCS summer conference, Northern New Mexico College, El Rito, NM, July 30, 2014. 2009 Mapping Latino Studies in the Heartland: The Experience in Illinois, discussant. SIGLO XXI: The State of Latino Studies Inter-University Program for Latino Research (IUPLR) University of Illinois at Chicago, Chicago, IL. September 24, 2009. 2009 Sin Papeles: A discussion on immigration. Panelist for the Declaration of Immigration series. National Museum of Mexican Art. Chicago, IL July 19, 2009. 2008 Accounting for MeXicana feminisms. American Ethnologist, Volume 35, Issue 2. 2008 Making Democracy Matter-Book Review Aztlán: A Journal of Chicano Studies. Spring (vol.33, no.1): 241-245. 2007 Messy Spaces, Chicana testimonio, and the Un-Disciplining of Ethnography. Chicana/Latina Studies Journal. 7(1) Fall. 2007 “De-Coding Racialized Gender in the Immigrants’ Rights Marches”. Organizer, Chair, and Presenter for the highlighted panel. Paper presentation: “Todos Somos Elvira: The Gendered Subtext of Immigration and Racialization” Latin American Studies Association. Montreal, Canada, September. 2006 “Decolonizing Latin@ Ethnography” March 14, Latin American Studies Association. San Juan, Puerto Rico. 2000 “Mexicanas and Mongrels: Policies of Hybridity, Gender and Nation in the US-Mexican War.” Latino Studies Journal 11(3). 2001 "Confronting the Silencing Praxis in Anthropology: Speaking of/from a Chicana Consciousness." Qualitative Inquiry 4(1). Reprinted 2001 in The Qualitative Inquiry Reader Denzin and Lincoln (eds. ), Thousand Oaks, CA: Sage Publications. 1997 "(En)Countering Domestic Violence,Complicity, and Definitions of Chicana Womanhood." Voces: A Journal of Chicana/Latina Studies 2(1). Reprinted 2000 Journal of Latino/a Research and Policy. University of Colorado at Denver.